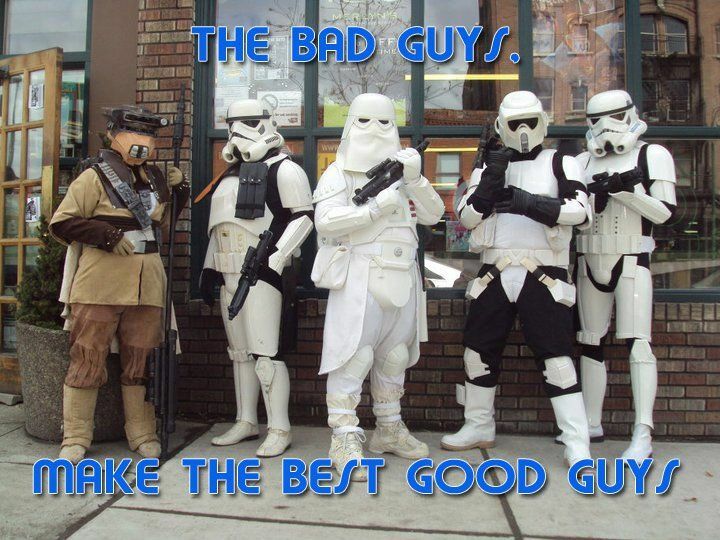 We are Havoc Squad, Eastern Washington state’s official squadron of Garrison Titan; the 501st Legion: the world’s definitive Star Wars costuming organization whose members are dedicated to creating and wearing movie-accurate costumes of the Galactic Empire and villains of the Star Wars Universe. Located in the Pacific Northwest, Havoc Squad has members in Spokane, and other areas of the East of the Cascade Mountain range in the beautiful State of Washington. As members, we are committed to the community and offer support at charity events, fundraisers and social functions by appearing in movie-accurate costumes. While we do not charge fees to make an appearance, we encourage those requesting us to appear at an event to make a donation to charity. The 501st Legion is a worldwide Star Wars costuming organization comprised of and operated by Star Wars fans. While it is not sponsored by Lucasfilm Ltd., it is Lucasfilm's preferred Imperial costuming group. Star Wars, its characters, costumes, and all associated items are the intellectual property of Lucasfilm. ©2015 & ™ Lucasfilm Ltd. All rights reserved. Used under authorization.